We’re going to answer that question today! You’ll also learn everything you need to know about this breed, including temperament and care tips! Let’s dig into the facts and the fun of the Old English Sheepdog. Who knows? You may just find yourself wanting one of your very own. What Does My Old English Sheepdog Need? Big, shaggy, lumbering, and goofy. These are all words that have been used to describe the Old English Sheepdog. Bred in England to be “drovers” these dogs were used to drive sheep and cattle to market. It’s a large breed reaching weights up to 100 pounds, with a long white and blue-gray coat. If you’re not a fan of brushing a dog, then the OES is not for you. In fact, this pooch will need regular grooming to keep its fur free of mats (expect three to four hours of grooming each week to keep this canine’s coat in good condition). The tail of the Old English Sheepdog is still docked as this was a sign (way back when) that the canine was a working dog (drover). When you look at the face of this breed, you will most likely just see a black nose as its eyes are hidden, and its ears lie flat, blending into the sea of fur. The OES is a sturdy breed with the gait of a bear. It does best when given proper amounts of exercise usually from one to two hours each day. Of course, pups will need more. Check out these fun Indoor Training Games Both You and Your Dog Will Love! The Old English Sheepdog is a playful and affectionate clown. He loves to be around his family and is especially fond of children. In fact, if you want a canine that retains his “puppyness” well into adulthood, the OES is a great choice. This dog is also known for his intelligence and ability to be a quick learner. He’s capable of so much more than his ancestral herding skills, doing well in agility trials, obedience, and even search and rescue missions. As we mentioned earlier, the Old English will need consistent exercise and does not do well left alone for long periods-of-time. Although most OES breeders will recommend this dog having a big backyard to romp around in, given enough daily exercise, some people have successfully homed this pooch in an apartment. A well-bred OES is both good-natured and kind, making him a super family dog. In fact, he’s even been referred to as a “nanny” because of his dedication to children. Looking for a watchdog? Keep searching. The Old English may (or may not) bark when he spies a stranger and is not known for being an assertive watchdog. Canine hip dysplasia a condition in which the thigh bone doesn’t fit snugly into the hip joint. Some dogs may show signs of pain and lameness in one or both of the rear legs. Some dogs can also develop arthritis in this area. Cataracts cause poor vision and opacity on the lens of the eye (the dog’s eye(s) will have a cloudy appearance). This condition can occur in old age and sometimes can be surgically removed to improve vision. Progressive retinal atrophy (PRA) is an eye disease that involves the gradual deterioration of the retina. In the early stages of the disease, dogs will become night blind, and as it progresses, they will eventually lose their daytime vision as well. Hypothyroidism is characterized by a deficiency of the hormone produced by the thyroid gland. Some symptoms of hypothyroidism are obesity, mental dullness, lethargy, and irregular heat cycles. The fur will also become coarse and brittle, which will lead to increased shedding. The skin can also become tough and dark. Deafness is fairly common in this breed. Some forms of deafness and hearing loss can be treated with medication and surgery. Affiliate links included below. We earn a small commission if you buy through these links. All dogs need specific products to keep them happy and healthy; the Old English Sheepdog is no exception. Here is a general list of the basics you will want to have on hand. Hair, hair everywhere! To help keep your OES coat in top condition, Pet Care Sciences has developed the highest quality professional grade formula dog wash. 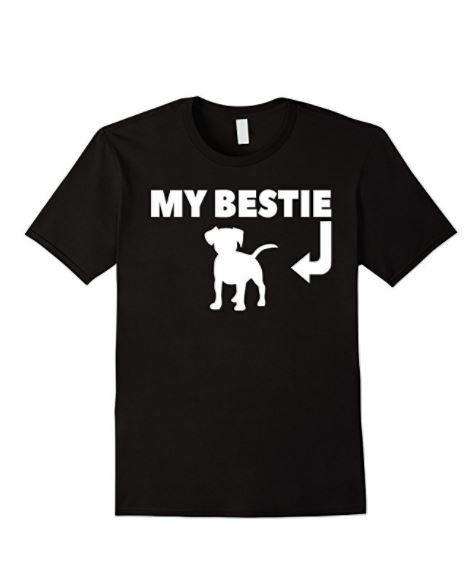 It leaves your pet smelling great with their coat in top condition. It’s naturally derived formula is made from coconut and palm oils and is gentle on the skin. It does not contain any sulfate, parabens, phosphate, MEA or DEA. To help keep your Old English’s shedding to a minimum, use a de-shedding tool. Pet Neat’s professional de-shedding tool will reduce your dog’s hair loss by up to 95% when used on a regular basis. Since the Old English Sheepdog grows very quickly between the ages of four and seven months, they are prone to bone disorders. However, this is a preventable condition. Breeders recommend feeding your OES puppy a high-quality kibble formulated with pure proteins and added vegetables, fruits, vitamins, and minerals. Blue Buffalo Blue Life Puppy food is a top rated seller for your pup’s balanced diet. We know the Old English Sheepdog is a quick learner. To help in his training, use Natural Balance Mini Reward dog treats. These soft chews come in a variety of flavors and are less than five calories per treat. They are easy to transport making them a perfect treat for outside the house training sessions. After a long day of playing, your Old English Sheepdog deserves a good rest. Make his sleepytime as comfy as possible with the Big Barker Orthopedic dog bed. This bed is American made and won’t flatten out over time. It comes with a 10-year warranty and is easy to clean, machine washable, with a 100% microfiber cover – it’s soft to the touch and looks great in your home! If you need an allergy-friendly bed, check out these top hypoallergenic dog beds! Compared to some breeds, the Old English Sheepdog is relatively young (only a few hundred years). It hails from the southwestern regions of England and may have originated from the Scottish Bearded Collie or the Russian Owtchar. The double coat of the OES is insulating and waterproof. It protects the dog both during chilly, wet winters and warm summers (although the OES is susceptible to overheating on very hot days.) His coat also gives him a woolly look, allowing him to blend in with the flock of sheep. Thanks to Hollywood, the OES is one of the most recognized breeds. This dog made his debut in 1959 in Disney’s “The Shaggy Dog.” This classic tale is about a boy who is turned into an Old English Sheepdog. This canine also lent its furry mug to the animated “The Little Mermaid” and “101 Dalmatians,” and more recently, the “Cats & Dogs” movies had an OES character. A few days after birth, the tails of the Old English Sheepdogs are docked. For this reason, they also became known as the “Bobtail.” This practice may have been done to signify the canine as a “working” dog, and therefore they were exempt from taxation. Docking the tail also made the dog’s hind end cleaner and easier to maintain. 5. Breed for the Wealthy? 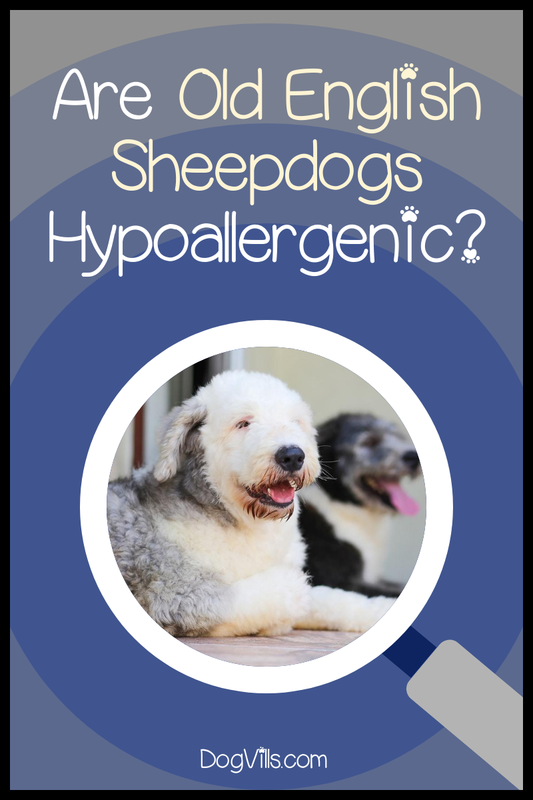 Sadly, because they shed so much, the answer to the question “are old English sheepdogs hypoallergenic” is a big “nope.” While they’re not hypoallergenic, there are some tips to making them more allergy-friendly. If you do decide that you would rather go with an allergy-free dog, check out these breeds of hypoallergenic dogs for adoption. Tip # 1 – If you already have an Old English sheepdog in your life, you can lower the allergy risk. Get a high-powered vacuum cleaner and make it your best friend. Sucking up any excess hair and dander will help with your symptoms. Tip # 2 – Another helpful tip is to make your bedroom a pet-free zone. Even though you may love to snuggle with that big ball of fur, your nasal passages will protest. Tip # 3 – Purchase a good quality air purifier for the main area of your home. These units are specially designed with filters to trap pet dander and allergens from the air in your home. Tip # 4 – If possible, keep your dog out of carpeted rooms in your home; or replace carpeting with hardwood flooring or tile. Tip # 5 – Bathe your Old English Sheepdog regularly to reduce dander. There are several pet shampoos made especially for dander reduction. Tip # 6 – Lastly, you may also want to ask your doctor whether allergen immunotherapy (a series of desensitization shots) might help you, as well. What a great breed the Old English Sheepdog has turned out to be! Although it isn’t considered to be one of those “hypoallergenic” pooches, its furry mug and loveable personality is sure to please. So are Old English Sheepdogs hypoallergenic? Sadly, no, but they are fabulous family pets! Share your experiences about this breed below!